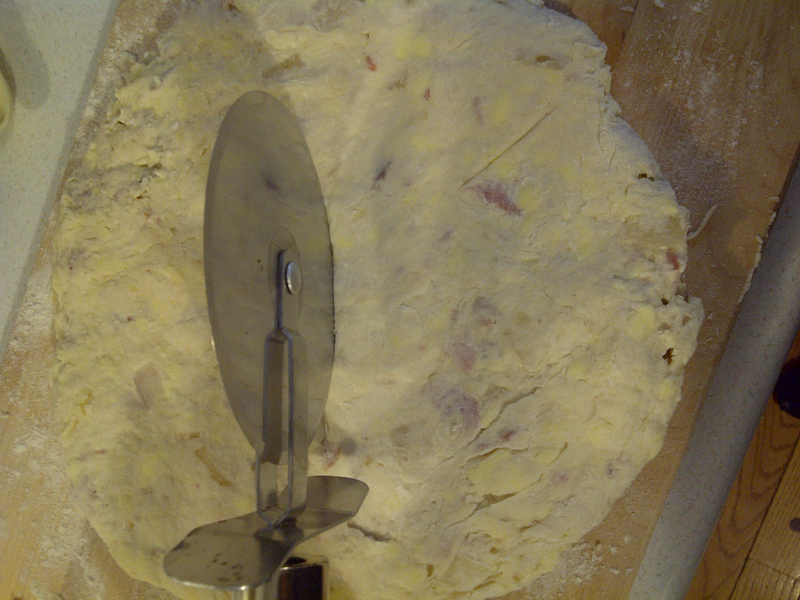 Flatten out your batter with floured hands and use a floured pizza cutter to slice into desired shape. Transfer to your cookie sheet. Put into your hot oven and cook for about 12 minutes or until golden brown. A good way to tell if your scones are ready is to pick the centre with a toothpick. If it comes out clean your scones are ready!